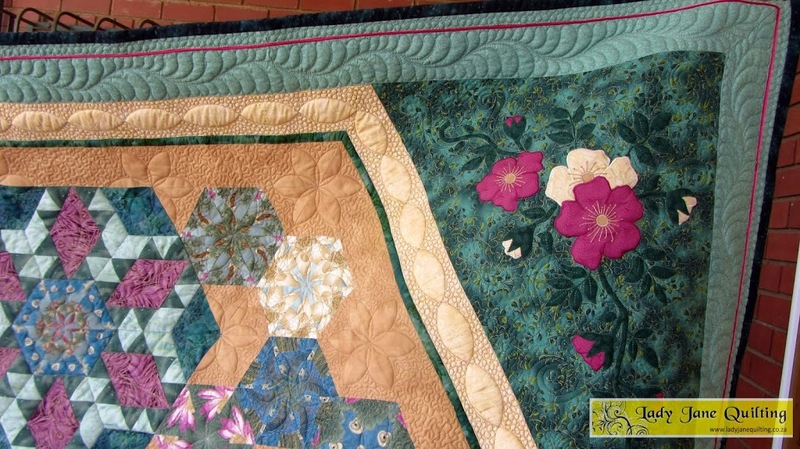 Enters Marian Senekal with her perfect patchwork and applique again. 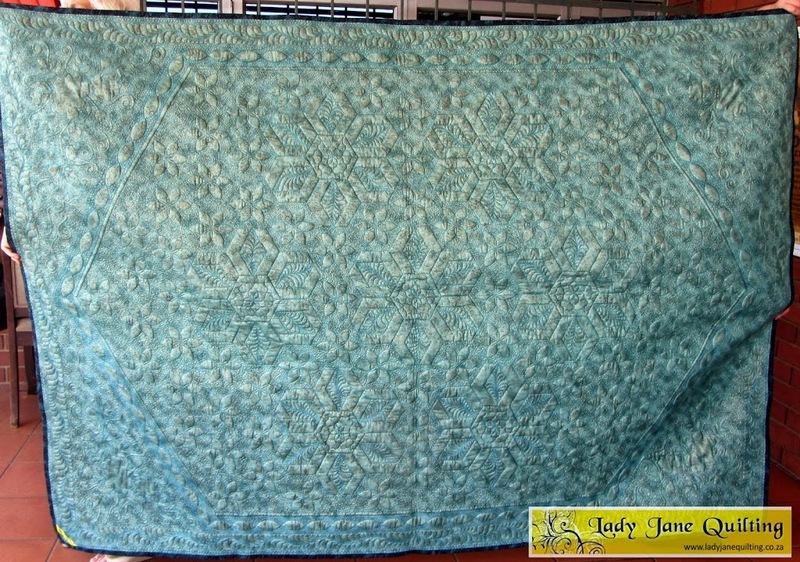 I love quilting for Marian and I have previously done 2 other quilts for her. 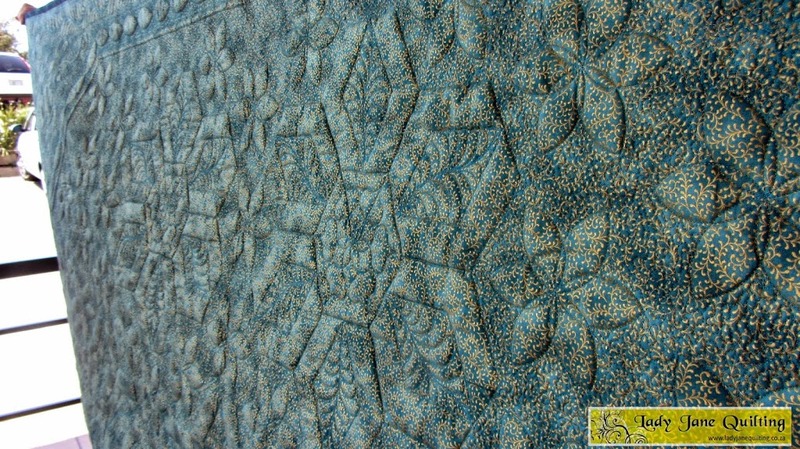 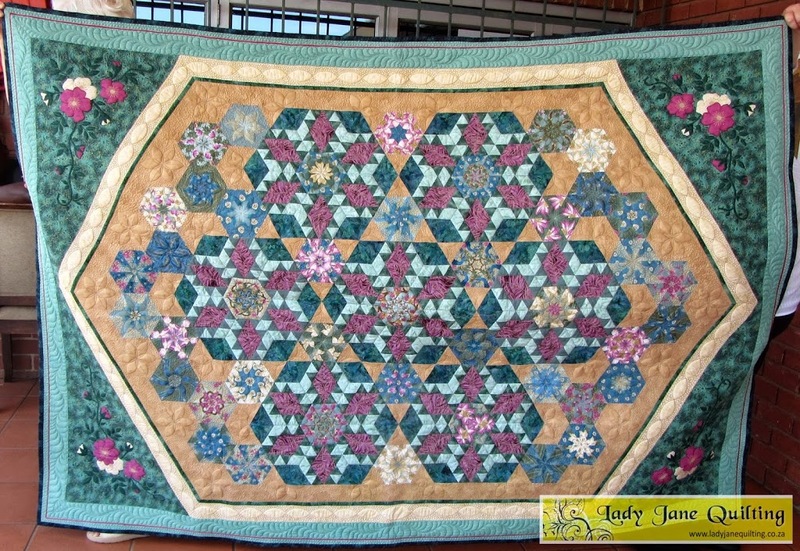 This is a kaleidoscope quilt originally from a book but I assisted her in customizing the design to suit her needs.